On Thursday 25/4 the gallery will be closed for technical reasons! But you can also visit the exhibition ECHO on public holidays 1/5 and 8/5 and come today at 5pm, when the guided tour of the exhibition ECHO takes place. We look forward to you! We cordially invite you to Brno Art Week at Fait Gallery! Workshop Jedním tahem for children 2-6 years will be held on Tuesday 23/4 at 10am, Guided tour of the exhihibition ECHO with the curator Denisa Kujelová on Wednesday 24/4 at 5pm and Workshop Remix for children 2-6 years old on Saturday 27/4 at 10am. On Thursday 25/4 will be closed for technical resasons! On Friday 19/4 and on Saturday 20/4 we're open. Come to the exhibition ECHO! For technical reasons it will be closed next week on Thursday, April 25, but on the other days we will join Brno Art Week, we will prepare a guided tour and workshops for children. A lecture by Marcela Rusinko Collecting of Art & Social Identity. Trade in confiscated Art in Postwar Brno will be held today at 5 pm. We cordially invite you! Read about the exhibition ECHO on STISK student journal. 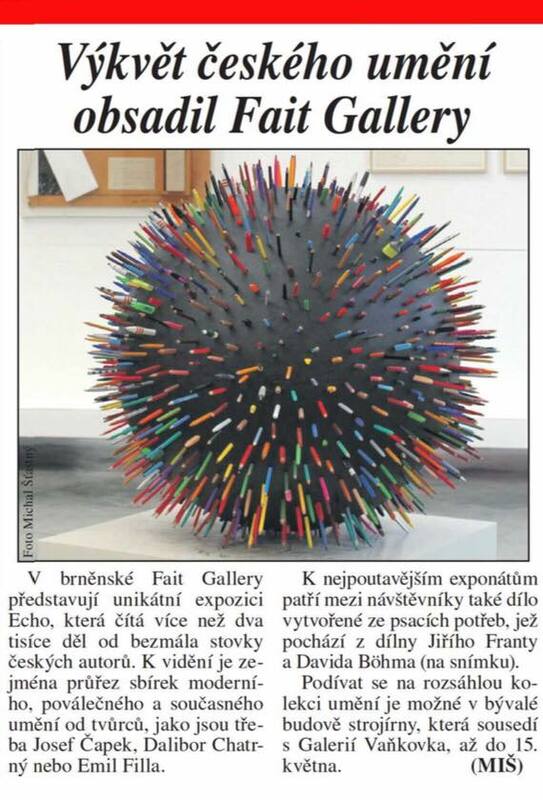 Thursday's Právo informed about the ECHO exhibition, which features nearly 200 artworks by 110 authors represented in the Fait Gallery. You can visit the exhibition until Saturday, May 18th. On Tuesday 9.4. and on Wednesday 10.4. at 7:30 pm we invite you to the performance of the Saldo Mortale by Theater D´epog. 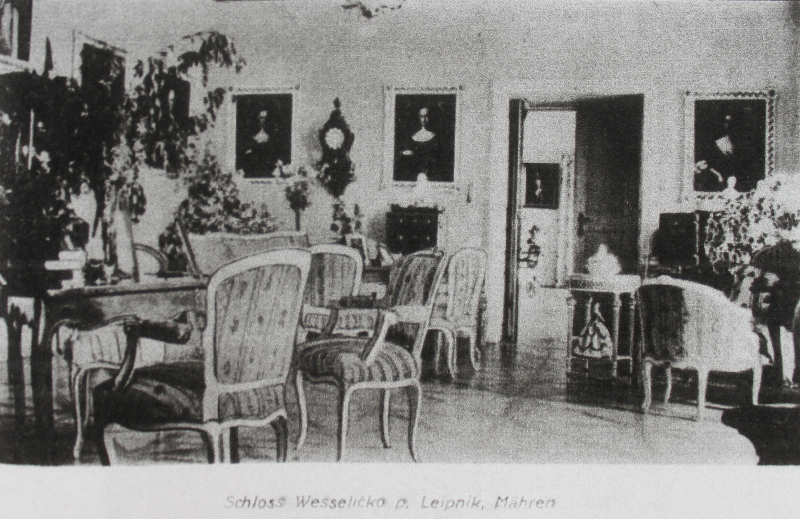 Read about the exhibition ECHO in Tips of Brněnský deník. We cordially invite you to a lecture by an art historian Marcela Rusinko about Collecting of Art & Social Identity. Trade in confiscated Art in Postwar Brno, which will be held on Thursday, April 11 at 5 pm. Entry is free. The lecture will be in Czech language. We would like to ask you to make a reservation in advance at fg@faitgallery.com.